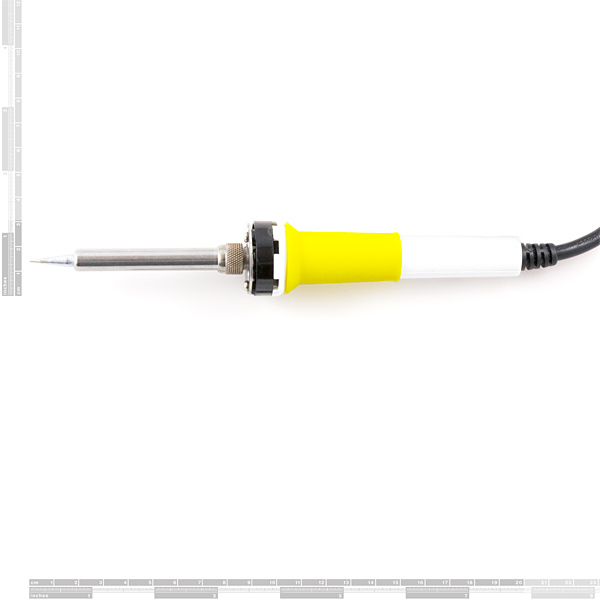 This is a very simple fixed temp, quick heating, 30W 230VAC soldering iron. We really enjoy using the more expensive irons, but if you really need a cheap iron for your tool box, this lovely iron is a good choice. This is a low-cost iron and it works! But it doesn't come with a stand. We recommend you checkout the iron stands below. Make sure you check out our soldering tutorials. It's a common misconception that the very tip of the iron does not provide the most heat. 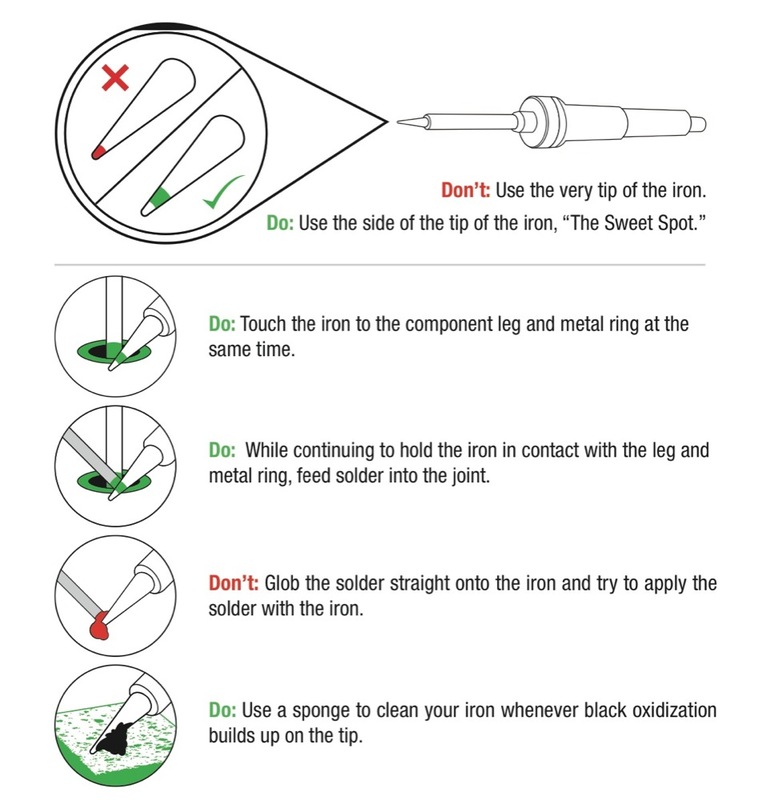 In fact, the side of the tip of the iron (aka the sweet spot) of any soldering iron is where it will provide the maximum amount of heat. Here's a good illustration [ https://dlnmh9ip6v2uc.cloudfront.net/tutorialimages/LearnToSolderSimonSays/01.jpg . 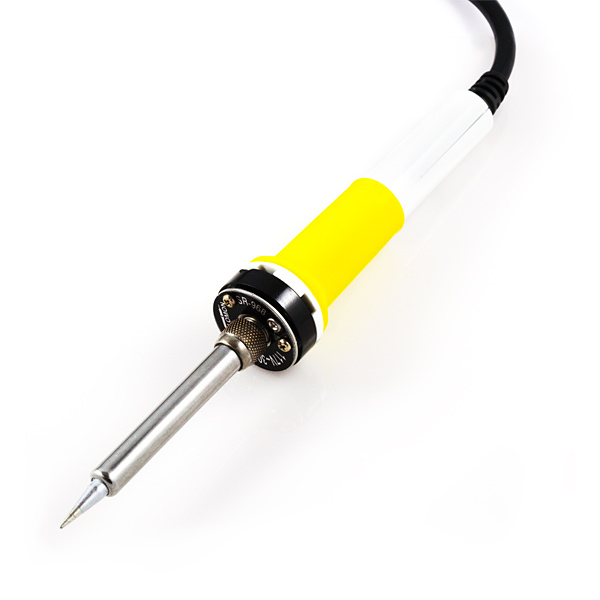 This soldering iron is used with our Simon Says kit. For tips on using this soldering iron, try looking at our online tutorial => https://www.sparkfun.com/tutorials/249 . This is working fine with 220V 60Hz power? I wanted a cheap and easy soldering iron for simple projects, I was buying some things from sparkfun anyway s added it to my basket, I am in the EU so I double checked I got the right one, now it has arrived I can't seem to get it working, no heat whatsoever, I plug it into the mains, nothing, 10mins later still nothing, 30mins stone cold. 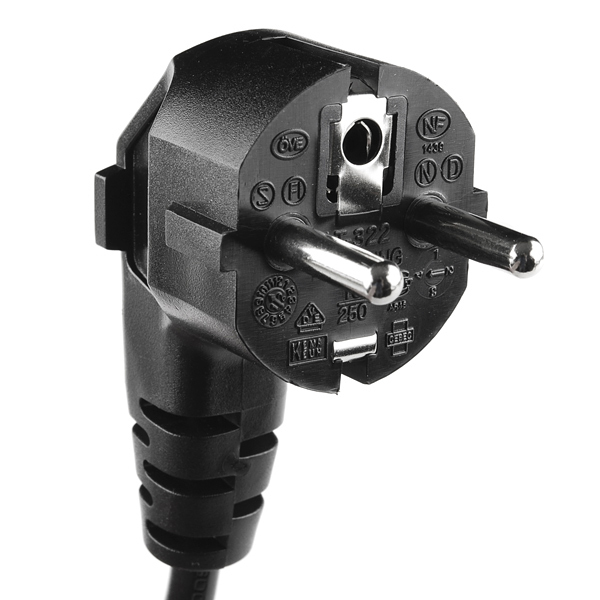 Are these 'plug and play' or am I missing something? double-check the heating element is seated well. if it is, contact techsupport@sparkfun.com and they'll get you taken care of. Tried using with an adapter to our American ports, wouldn't heat up to melt leaded solder, wish I saw it was European before I bought it. Any way to open it up and swap a few components to get it to work in the US? And I an Australian plug. But who goes to a U.S. site to buy a simple 25/30W soldering iron? Reasonable quality for a small price. 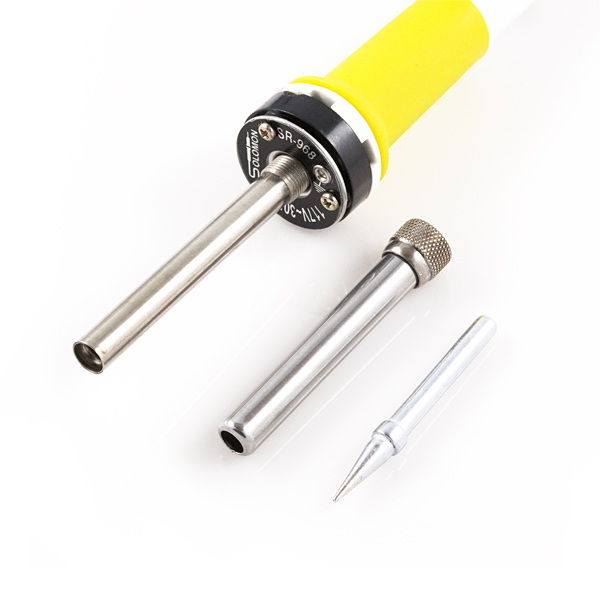 If you are looking for basic soldering iron for your hobby, This is the one. Simple to use, Handy, Pretty quick heating time.